The YouTube CEO was in India at YouTube Brandcast event held in Mumbai. At its annual flagship event - Brandcast, YouTube shared insights on the exponential growth of the online video ecosystem and how it is interlinked to India's internet growth story. Kicking off the keynote, YouTube's CEO, Susan Wojcicki announced that the platform has more than 265 million monthly active users in India (ComScore). She said, "India is now both our biggest audience and one of our fastest growing audiences in the world. YouTube, today, has become the first stop for users to consume content, whether they're looking for entertainment or information. It is this incredible variety of content combined with the growing reach that makes YouTube a perfect platform for brands to drive personalised engagement." She continued, "In the last one year, YouTube's consumption on mobile has increased to 85 per cent, with 60 per cent of the watch time coming from outside of the six largest metros in India. 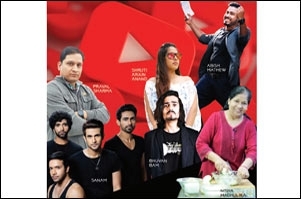 Today, YouTube creators have become effective storytellers with more than 1,200 Indian creators crossing the one million subscriber milestone. Just five years ago, there were only two creators with a million subscribers." Underscoring the importance of creating for digital, Ben Jones, Global Head - Unskippable Labs, Google, said, "Most advertisers have the same problem - connecting with people that spend all their time on mobile devices. Over 70 per cent of a campaign's success is influenced by creative. At Google, we have been working for some time to enable the advertising ecosystem to make more engaging brand messages. For that, we have extensively engaged with all the stakeholders in the creative ecosystem. Starting from initiating conversation on the need to 'Re:Think' advertising production for versatility across media to introducing 'Creative Intelligence Partnership' aimed at enabling the creative teams at agencies. We have equipped partners with the tools and ability to recreate for digital." At the event, Google also announced the 'Re:Think council' who have come together to drive this new way of creative storytelling across the board. 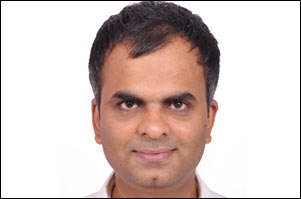 Members of the council include Sonal Dabral, CCO, Ogilvy South East and South Asia, Rashi Goel, VP Consumer Communications, Nestle India, Sneha Iype, Co-Founder Nirvana Films and Sunder Mathuraman, CEO-APAC, Kantar. 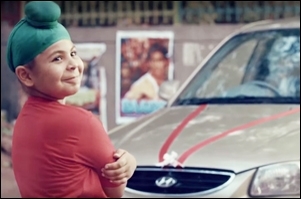 YouTube also unveiled its Creative Excellence Award winners - ads that are shaping creative excellence on YouTube in India. The top ads from July 2018 till December 2018 were rated by a panel of ten representatives from creative agencies, ad film direction and media planning agencies - compiled by Kantar IMRB. The ads were evaluated against the following parameters - Attention, Brand-Ad fit, Memorability, Uniqueness, Relevance, Comprehension, Human Insights, and overall Likeability. The winners include - Samsung for Bixby Voice Assistant, Hyundai for 20 years in India, Milton for Thermosteel Flasks, Dove for #Letsbreaktherulesofbeauty, Bajaj Avenger for Independence Day celebration, and Apple for Apple's big news in 108 seconds.